They identified the email’s writer as Ji Chaoqun, a Chinese student who would go on to enlist in the US Army Reserve. His email, they say, had nothing to do with exams. Instead, at the direction of a high-level Chinese intelligence official, Ji allegedly attached background reports on eight US-based individuals who Beijing could target for potential recruitment as spies, according to a federal criminal complaint. The eightnaturalised US citizens originally from Taiwan or Chinahad worked in science and technology. Seven had worked for or recently retired from US defense contractors. The complaint says all of them were perceived as rich targets for a new form of espionage that China has been aggressively pursuing to win a silent war against the US for information and global influence. He was formally indicted by a grand jury on January 24. Ji appeared in federal court in Chicago on Friday and pleaded not guilty, according to Joseph Fitzpatrick, a spokesman for the US attorney’s office in Chicago. He is due to appear in court next on February 26 and will remain in detention until then, Fitzpatrick said. While Ji has not been convicted, the circumstances outlined in his case demonstrate how China is using people from all walks of life with increasing frequency, current and former US intelligence officials tell CNN. Beijing is leaning on expatriate Chinese scientists, businesspeople and students like Jione of roughly 350,000 from China who study in the US every yearto gain access to anything and everything at American universities and companies that’s of interest to Beijing, according to current and former US intelligence officials, lawmakers and several experts. The sheer size of the Chinese student population at US universities presents a major challenge for law enforcement and intelligence agencies tasked with striking the necessary balance between protecting America’s open academic environment and mitigating the risk to national security. 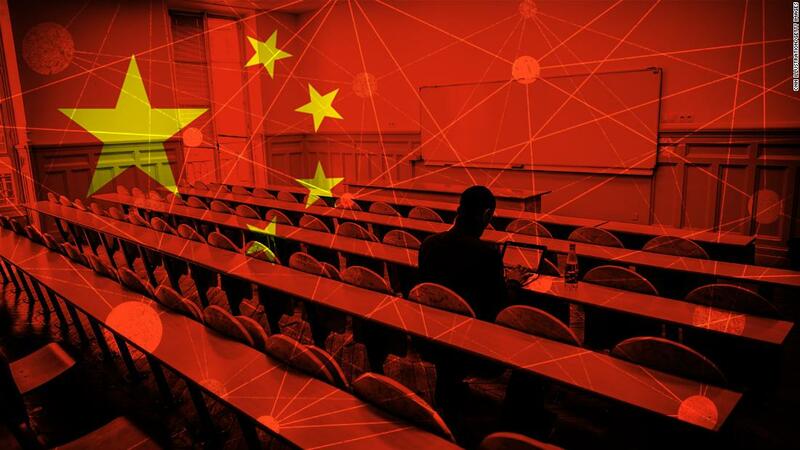 While it remains unclear just how many of these students are on the radar of law enforcement, current and former intelligence officials told CNN that they all remain tethered to the Chinese government in some way, even if the vast majority aren’t sent to the US to spy. It’s part of a persistent, aggressive Chinese effort to undermine American industries, steal American secrets and eventually diminish American influence in the world so that Beijing can advance its own agenda, US officials, analysts and experts told CNN. China’s alleged approach to espionage is taking on added urgency as ties between Beijing and Washington sour over trade differences, cyberattacks and standoffs over military influence in Asia. 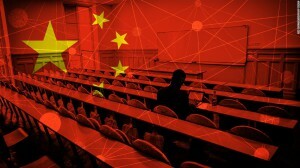 Rather than having trained spies attempt to infiltrate US universities and businesses, Chinese intelligence services have strategically utilised members of its student population to act as “access agents” or “covert influencers,” according to Joe Augustyn, a former CIA officer with firsthand knowledge of the issue from his time at the agency. “Such statements are completely untrue and made with ulterior motives. People-to-people exchanges form a basis for the promotion of China-US cooperation in all areas, which is in the common interest of both peoples,” China’s Ministry of Foreign Affairs told CNN in a statement. “We hope to see relevant agencies and people in the US correctly view and actively promote people-to-people exchanges between China and the US and create better conditions for bilateral cooperation and exchanges in all areasinstead of doing the opposite,” the statement added. But addressing that problem is difficult given the large population of Chinese students sent to the US each year. “We know without a doubt that anytime a graduate student from China comes to the US, they are briefed when they go, and briefed when they come back,” according to Augustyn. In Ji’s case, he was first approached by a Chinese intelligence officer who, initially at least, used a false identity, according to FBI Special Agent Andrew McKay, who filed a criminal complaint against Ji in the US District Court in Chicago. The complaint charges Ji with one count of knowingly acting in the US as an agent of a foreign government without prior notification to the attorney general. Ji has been detained since his arrest in September, according to his lawyer. Like thousands of Chinese nationals who come to the US each year, Ji entered the country on an F1 visaused for international students in academic programmes. Citing immigration records, the complaint states that Ji’s goal, when he landed in Chicago in August 2013, was to study electrical engineering at the Illinois Institute of Technology, where he ultimately earned a master’s degree. Ji, now 27, eventually realised who this official and his colleagues really were, according to the criminal complaint. Still, court documents say he would funnel them background reports on other Chinese civilians living in the US who might be pressured to serve as spiesin this case, in the strategically critical US industries of aerospace and technology. And he would lie to US officials about it, according to the complaint filed by FBI investigators. In their response, the Chinese government did not comment on the current status of Ji’s case. But in September, Chinese Foreign Ministry spokesman Geng Shuang told CNN he was “unaware of the situation” when asked about Ji’s arrest during a press briefing. The Washington Post previously reported that Ji’s case has been linked to the indictment of a Chinese intelligence officer named Xu Yanjun. Xu’s indictment was unsealed in October after he was arrested in Belgium for allegedly stealing trade secrets from US aerospace companies. He is the first Chinese intelligence officer to be extradited for prosecution in the US. He has pleaded not guilty. FBI director Christopher Wray, in the past year, has sought to focus repeatedly on the threat from China and its use of foreign students in US universities to try to get access to sensitive military and civilian research. “They’re exploiting the very open research and development environment that we have,” Wray told a Senate Intelligence Committee hearing last year, expressing concern that academic officials aren’t taking the threat from China seriously enough. But on Tuesday, Wray told Senate lawmakers he has seen reasons for optimism. “One of the things that I’ve been most encouraged about in an otherwise bleak landscape is the degree to whichas director Coats was alluding toAmerican companies are waking up, American universities are waking up, our foreign partners are waking up,” Wray said. Still, the issue continues to pose a complex counterintelligence challenge for the US, as international exchange programmes have largely played a positive role in fostering better relations with China, according to a recent study by the Hoover Institute. “Chinese students have helped to diversify the makeup of US student bodies, they often contribute positively in the classroom, and they have made a real contribution in joint research projects with university faculty,” the report states. The Chinese are notorious for appealing to the nationalism and loyalty of their citizens to coerce them into carrying out acts of espionage, lawmakers and intelligence officials say. The Trump administration has also insisted that any trade deal with China must address concerns about Beijing’s use of covert operations to steal US government secrets and intellectual property belonging to American private-sector businesses. Ahead of President Donald Trump’s December dinner meeting with Xi in Buenos Aires, the top US trade negotiator released a 50-page report showing Beijing had done little to fix unfair policies and that it continued to conduct and support cyber-enabled economic espionage that has stolen trillions of dollars in intellectual property. A US intelligence official told CNN that American companies need to be alert to the growing threat. “Whether it is a foreign national, student, businessperson or through cyber means, companies need to know they are up against nations who want their information,” the official said. US authorities are also taking action beyond just issuing warnings. One October 2018 indictment accused two Chinese intelligence officers of attempting to hack and infiltrate private companies over the course of five years in an attempt to steal technology. The indictment also targeted six of what it said were the officers’ paid hackers and two Chinese nationals, employed by a French aerospace company, who were allegedly told by the officers to obtain information about a turbofan engine developed in partnership with a US-based plane maker. And prior to that, in September, US authorities arrested Ji for allegedly spying on behalf of Beijing. McKay and the FBI used search warrants to scour emails and texts that were used to piece together what they claim is the story of how Ji was lured in and exploited by his Chinese spymasters. They sent an undercover agent who pretended he’d been directed by Chinese intelligence to meet Ji after one of the student’s alleged handlers had been arrested. Video and audio recordings captured Ji telling the undercover FBI officer he knew he’d been helping a “confidential unit” of the governmentexactly the actions he’d denied in his interviews for both a student visa and his entry to the US Army Reserve programme, according to the complaint.